New Delhi, Aug 16 (IANS) The Union Health Ministry has urged states to come forward and request funds for the treatment of rare diseases amid the deaths of over 60 children in Uttar Pradesh, many due to Japanese Encephalitis. It added the funds will be provided from the Rs 100 crore corpus fund under the National Health Mission. Giving a presentation with respect to the Rs 100 crore corpus fund for rare genetic diseases, Joint Secretary at Ministry of Health and Family Welfare Lav Agarwal said that the biggest challenge with rare diseases is that their symptoms mimic those of other diseases and thus take years to get diagnosed. “Moreover, there is a low pool of patients for research and hence, in the process of covering up the cost of Research and Development, the treatment is expensive. This, strong measure need to be taken to make the diagnosis and treatment process easier,” said Agarwal, giving a presentation in Delhi High Court. In this regard, the policy proposes an initial corpus of Rs 100 crore for funding treatment of rare and genetic diseases, he said. 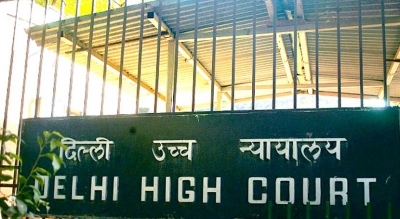 In November 2016, the Delhi High Court ordered the Health Ministry to finalise policy on rare disease as patients sought expensive drugs required for treatment be provided for free.